This badge was issued to Jamie Storey on 02 Jun 2018. 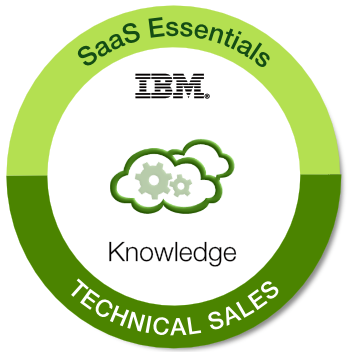 Holders of this badge can confidently engage in conversations with clients on the essentials of IBM's policies, practices, and processes that support IBM's Software as a Service (SaaS) portfolio. The badge earner can knowledgeably address essential IBM security, privacy, compliance and certification facts and criteria and can address essential questions from the client on these topics as they relate to the client's environment. Successfuly pass the assessment test in Smarter with a passing grade of 80% or higher. Note: Links are only accessible to IBM employees.